Paige is such a wild little animal. She loves to climb, sass, run, and get in to whatever she's not supposed to get in to. She's not scared of much and loves to try and keep up with the older kids. 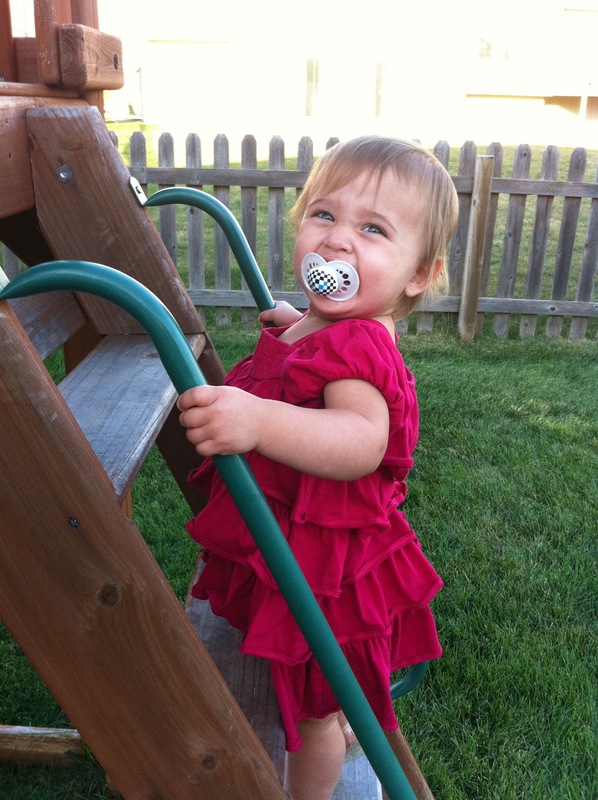 Recently she figured out how to climb up the ladder on the playset in the backyard and go down the slide. She gave me a huge sassy smile when I took her picture and we got a cute video of her doing her up and down routine.